Haiku Designs is pleased to offer the special Merino Wool All Natural and Organic Wool Comforter. The organic wool-filled comforter is made of the finest organic materials so you can snuggle up and sleep away the cold dark winter nights. This comforter is filled with ultra-soft, certified 100% Organic, Fine Merino Wool. This organic Merino wool comforter offers a reasonably priced, luxurious, lightweight, warm, natural bedding for a restful and comfortable nights sleep each and every night. 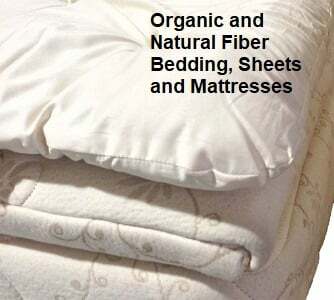 The quilted cover is made of certified 100% organic cotton sateen with a 400 thread count. Each Merino Wool Comforter has the following amounts of Merino wool: Crib 2 lbs., Twin 5 lbs., Full/Queen 6 lbs. and King 7 lbs. Free shipping for any comforter shipped within the continental United States. The Natural Sleep Organic Merino Wool Comforter is available in a Crib size, as well as Twin, Full/Queen and King Sizes. Body Temperature Regulator. Merino wool is a natural insulator, adjusting the body's warmth in winter and coolness in summer. Lower heart rate. According to the Polytechnic Institute of Wales, their Statistics show that a person's "heart rate under the wool-filled comforter was significantly lower 100% of the time compared to a polyester comforter." Dry and cozy. The average person can lose up to three pints of moisture during sleep. Merino wool quickly wicks it away without making the bedding feel cold or clammy. 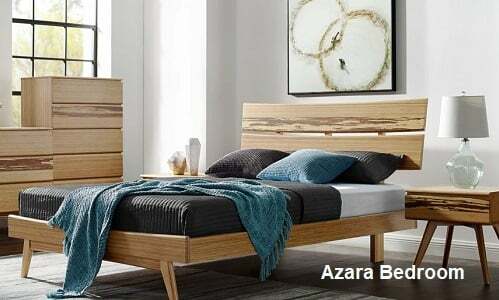 You will be more comfortable and restful as you sleep. Hypoallergenic and Healthy. Merino wool is naturally resistant to dust mites, mold and mildew creating an allergen-free sleeping environment. Dust mites are one of the leading causes of allergies and asthma in a bedroom. Comfort. Merino wool relieves pressure points and muscle uncomfort as it recovers up to 95% of its shape when compressed. Less back pain. Less neck stiffness or muscle aches. It's also lightweight, so it provides excellent warmth without the heavyweight of synthetic materials or down. This comforter is a great choice for people with arthritis, rheumatism and has chronic back pain. Safe. Merino wool is naturally flame resistant and is the safest choice for bedding. Eco-Friendly and Pure. Merino wool is a renewable, sustainable and biodegradable fiber that is sheared from Merino sheep. Economical. Merino wool offers you the lowest cost and the best comfort for years to come. Restful. Less time is spent tossing and turning because sleeping on Merino wool increases the duration of the most beneficial phase of sleep known as REM (rapid eye movement). You will enjoy a deeper, more comfortable full nights sleep. Fresh. Air circulates easily through the comforter, so the bedding is always fresh and breathable.